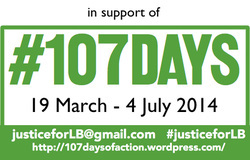 We are very grateful to Matt and Kate who produced this flyer for us for #107days campaign. 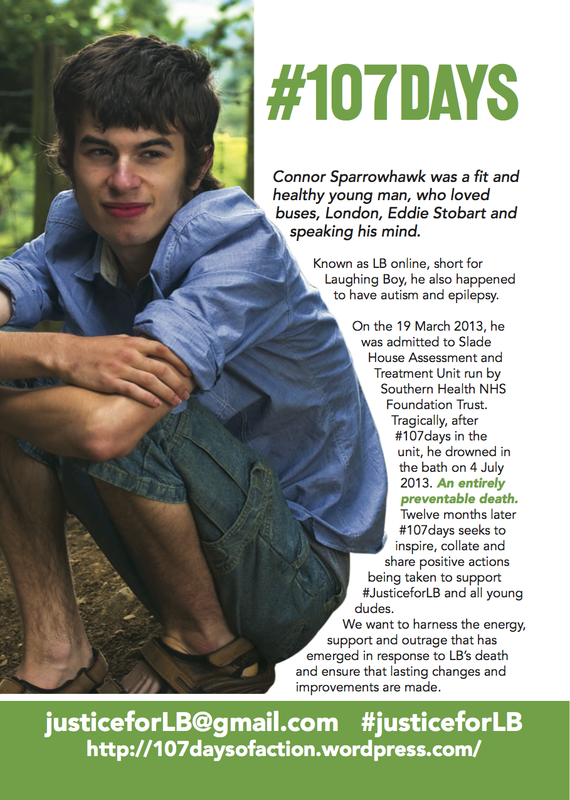 Please feel free to download, print and distribute in any way that will help raise awareness of #107days and #JusticeforLB. You can save the image above or download the original pdf file below. Please leave a comment letting us know how you intend to use it, your idea might inspire someone else. Thank you. We are even more grateful now we have a second flyer (see below). 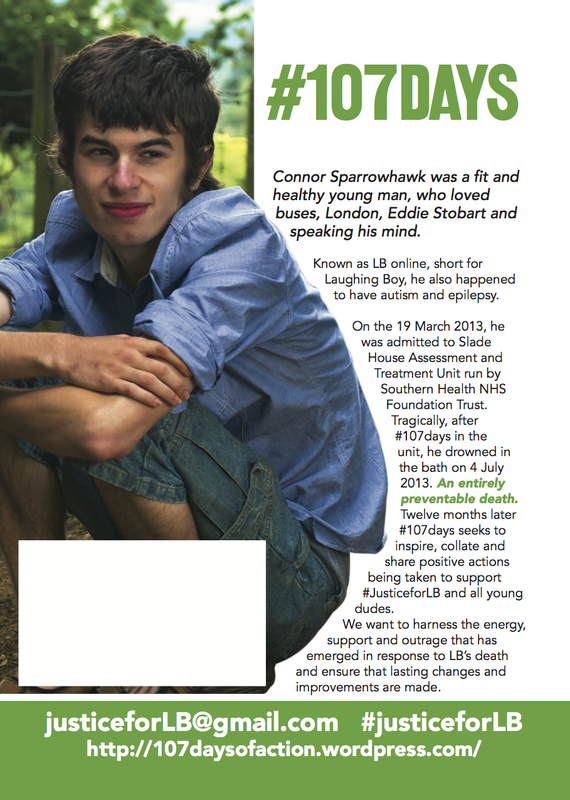 This one includes a white box across Connor’s legs that you can use to advertise your own event. We thought that this might help save time for some of you who are organising activities. You can save the image below or download the file here #107days flyer with white box. Completing our flyer hat trick is this one that includes details of how people can make a donation to the LB Fighting Fund. Several people had asked for this information, and we’re aware that it’s spread across several websites, including the main fundraising site. Please feel free to save the image below or download the pdf document here, if you’d like to use this flyer. Thank you. I have passed on to several parents of young people currently in hospital and parents who have and still feel very dispossessed by the system and some good colleagues. I am having a two day get together of these people to introduce them to each other and to boost the campaign.